I realize the type of ALCS Houston Astros starter Justin Verlander had, but his performance still isn’t enough to convince me that the Astros’ starting pitching is better than the Dodgers’. The Dodgers rotation is probably the best in all of baseball, lead by Clayton Kershaw, Yu Darvish and Rich Hill. Their number four starter is no slouch either, as Kenta Maeda rounds out these talented arms. It seems to me that Kershaw has forgotten about his playoff lapses of the past, as he has had a completely dominant postseason thus far. Darvish also has 1.59 ERA in 11 innings pitched in the postseason as well. Verlander and Kuechel will lead the way in this Astros rotation, but after those top guns becomes a real question mark. It is unknown if Charlie Morton and Lance McCullers will be able to replicate their dominate Game 7 performances during the ALCS. I just think the Dodgers starters will outpitch Houston’s starters all series long, and will force the Astros to turn to their bullpen a lot quicker than what they would like to. I don’t want to discredit the Dodgers offense at all here, but let’s face it; Houston’s lineup from top to bottom is a run scoring machine. This is a team that scored over 900 runs this year as a team, and led all of Major League Baseball in run differential. Between AL MVP Candidate Jose Alutve, slugging shortstop Carlos Correa, and crafty power hitting lead off man George Springer, this Astros offense can score runs at any given moment. The Dodgers’ offense just doesn’t quite have the same firepower as the Astros’. NL Rookie of the Year Cody Bellinger hit 39 homers during the regular season, and wasn’t called up until the end of April. Third basemen Justin Turner has been on fire throughout the playoffs so far, and he too had a great regular season with a .322 average. Outside of Turner and Bellinger, the rest of the Dodgers offense can be hit-or-miss. If shortstop Corey Seager is healthy enough to make the World Series roster, he will add a strong bat to the top of their order. However, I expect Houston to really put the Dodgers pitching to the test with their explosive offense. The Astros have the clear advantage in this department. Yeah… this isn’t even close. Did you know the Dodgers bullpen has yet to allow a run during the postseason? The Astros bullpen is a complete mess right now, and they are going to have to rely heavily on their starters throughout this entire series. Nobody coming out of the Houston bullpen can be trusted right now except closer Ken Giles, who has even looked a little shaky at times as well. From top to bottom, the Dodgers bullpen is dynamite. Relievers Kenley Jansen, Pedro Baez, Tony Watson, Tony Cingrani and Ross Stripling have been absolutely lights-out in the playoffs thus far. I understand the Astros offense will give these arms a lot harder time up at the plate, but at the end of the day a good pitcher wins the battle over a great hitter majority of the time. Just hear me out on this; I will take a good pitcher over a hall of fame hitter any day of the week. Why you ask? Because even a hall of fame hitter gets out 7 out of 10 times (roughly) he is up at the plate. Thus, this gives the pitcher a 70% (roughly) success rate. The Astros will be in huge trouble if they are unable to crack this dominant Dodgers pen. I think this will be a very good World Series. The biggest difference-makers of this series will easily go down to the Astros offense against the Dodgers pitching. The big question will be if the Dodgers bullpen will continue to be lights-out. The Dodgers have a clear advantage in the pitching department, but the Astros’ offense is good enough to go on a tear and beat any type of pitching they face. I do think the Dodgers will work the counts of Dallas Kuechel and Justin Verlander, forcing the Astros to go to their bullpens early. Once that happens, it’s hard to pick against the Dodgers. The Dodgers do have home field advantage, and despite the Hurricane Harvey motivation factor, I believe the Dodgers will win this series in six or seven games. I think every game will be close in this series, and each game will live up to the hype. Whether I am completely right or wrong, I think we are in for a classic series. To go bold here, I say the Dodgers close out this series in six games, Justin Turner hits a go ahead double in the bottom of the eighth in game six off of closer Ken Giles. Dodgers closer Kenley Jansen earns the save as the Dodgers will win their first World Series title since 1988 and celebrate in front of their home crowd. 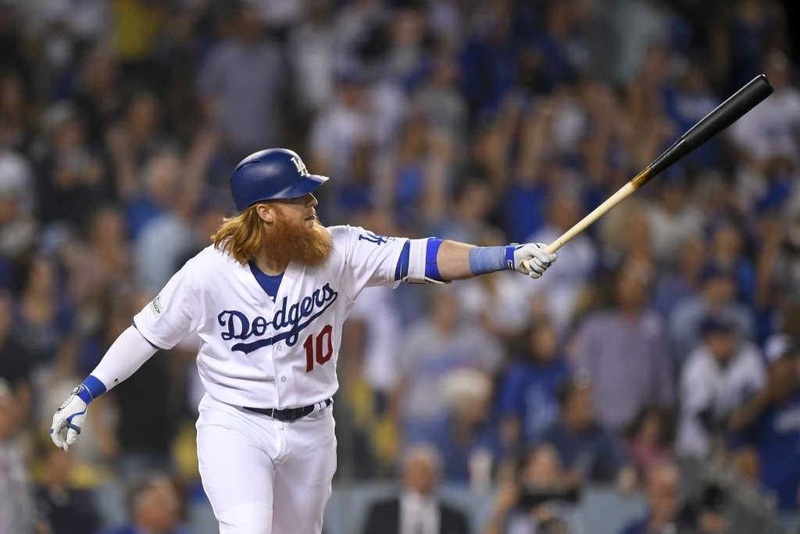 I will pick Justin Turner as the World Series MVP due to his heroic efforts, and the big numbers he will produce. Enjoy the Fall Classic folks; this is a series that you will not want to miss.